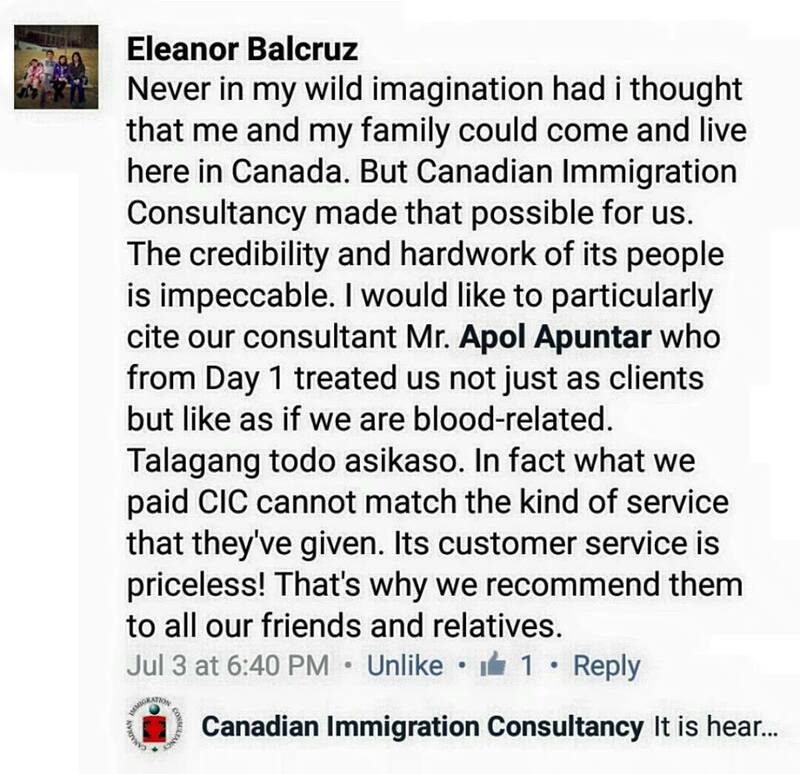 Live and Work in Canada: Testimony from Ms. Leah Balcruz - Gateway to Canada | Canada Immigration Consultancy! 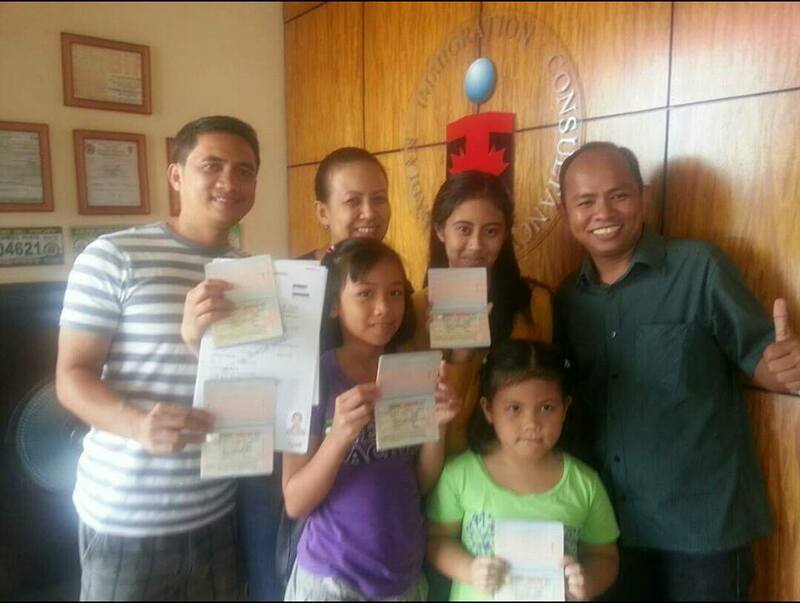 About two years ago, Ms. Eleanor Balcruz and her family were granted a Permanent Resident Visa via the Federal Skilled Workers Program. We at Canadian Immigration Consultancy assisted them with their application. She was eligible based on her education and her experience as a College Instructor. It was a very smooth and short process for them. 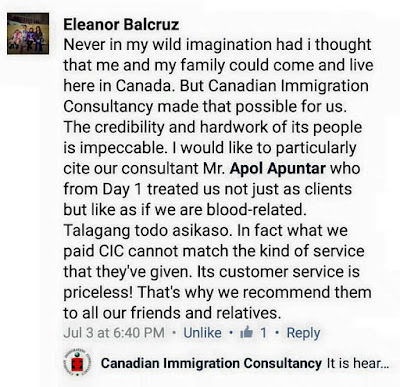 Receiving this kind of feedback from clients makes me even more inspired in helping clients realize their dream of living and working in Canada to have a better quality of life. We can't guarantee approval of application, but one thing is certain: We will do everything within our power to make that happen. And if you are not eligible, we will not give you false hope. We have been in the industry for more than 20 years already and you can bank on our track record. 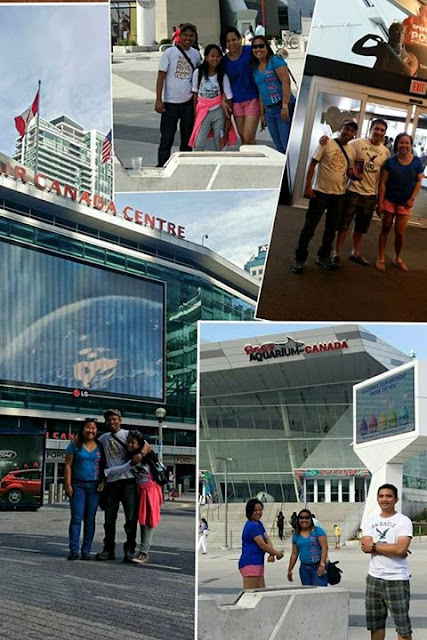 When they learned that my family and I were in Canada last May 2015, they insisted to see us in Toronto to treat us for lunch and tour us around the city. And we did! I can say that they are now successfully settled in such a short period. They are now working full time with their chosen career after they upgraded their education through Ontario Student Assistance Program. Sir Francis, who used to work in Sales and Marketing is now working as Technical Support Representative for a Giant IT Firm while Ms. Leah is now working as Finance Coordinator for a school in Ontario. Their kids receive monthly allowance from the Government and are studying for FREE. Simply click here for FREE Online Assessment to find out your options if you also want to live and work in Canada.